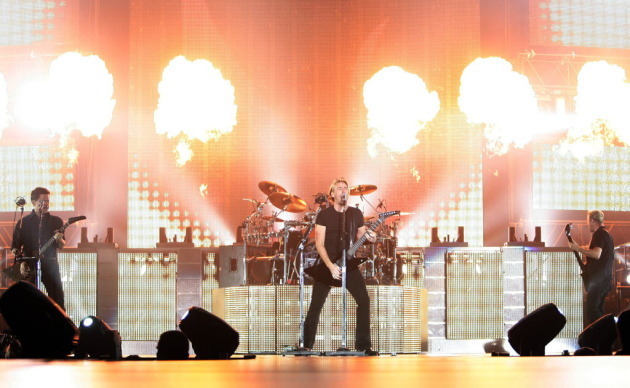 While the women in Nickelback’s world only seem to have their pants around their feet or something in their mouths, Gavin Rossdale and Bush put a woman to work in a much more noble way at Target Center. As for Nickelback, there’s really not much of a reason to post their set list, since it’s the same set list they’ve played in every city on their tour. If you read other accounts of their shows, you’ll see that Chad Kroeger says and does pretty much the same things between songs at each and every show, too. Here’s what rock’s most pre-programmed, auto-piloted band played Wednesday (and Tuesday, and Sunday, and… ). Click here the full concert review.